We’re still a few months away from the release of the next iPhone, but the rumors are continuing to churn about what new features it will include. 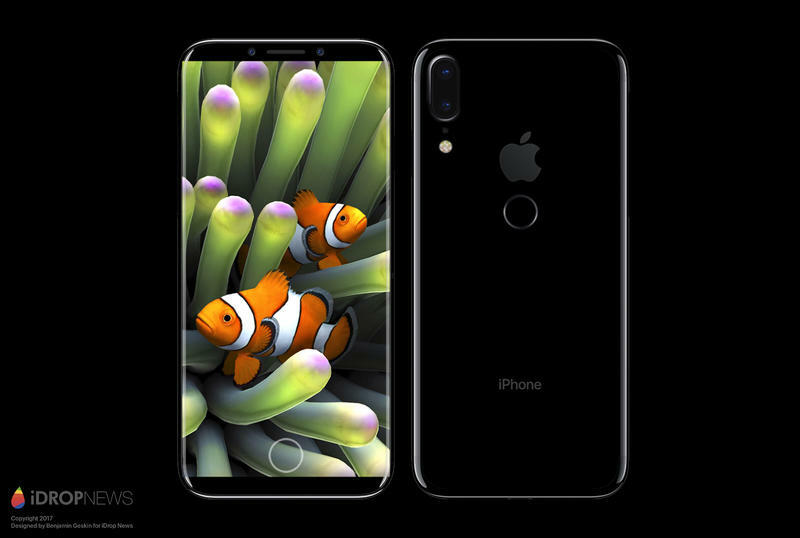 The latest interesting rumor comes from iDrop News, who claims a source within the manufacturing process stated the next iPhone will be called the iPhone Edition and will feature a radical redesign. The source also revealed to iDrop News some of the redesign cues, so it made some renders of all the information it got. If the leaker is to be believed, the new iPhone Edition will sport a nearly bezel-less front that does away with the home button. It looks similar to what LG did with the G6 and the leaks we’ve seen of the Galaxy S8. The fingerprint scanner has been moved to the back and the camera has been slightly altered—it runs vertical instead of horizontally. Radical. Some of the other spec details iDrop News includes in its renders include a 5.8-inch OLED edge-to-edge display, a metal backside (instead of rumored glass back) and wireless charging. The iPhone Edition will come loaded with iOS 11 and its new advanced Siri functionality and the next-gen A11 chip. iDrop News’ render also pits the iPhone Edition versus the original iPhone and it’s quite a difference. The iPhone Edition’s display alone towers over the first-gen iPhone. 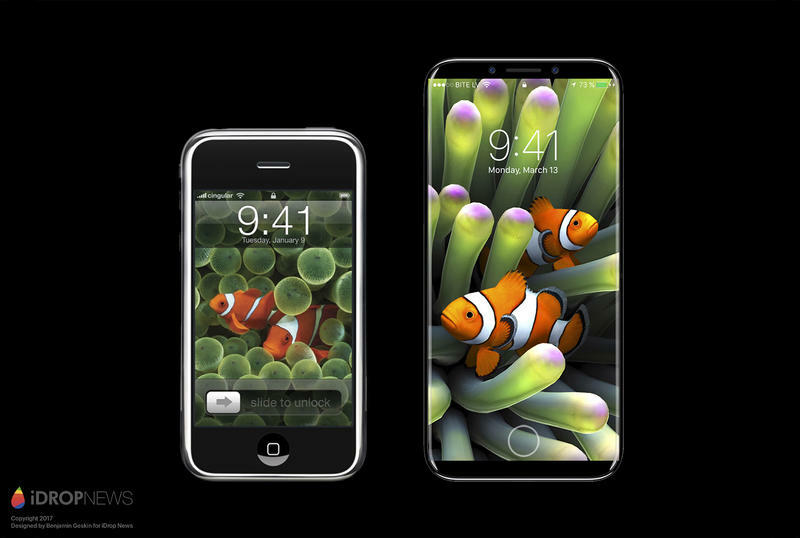 It also highlights just how ugly those chunky bezels look now ten years later. How the times have changed. 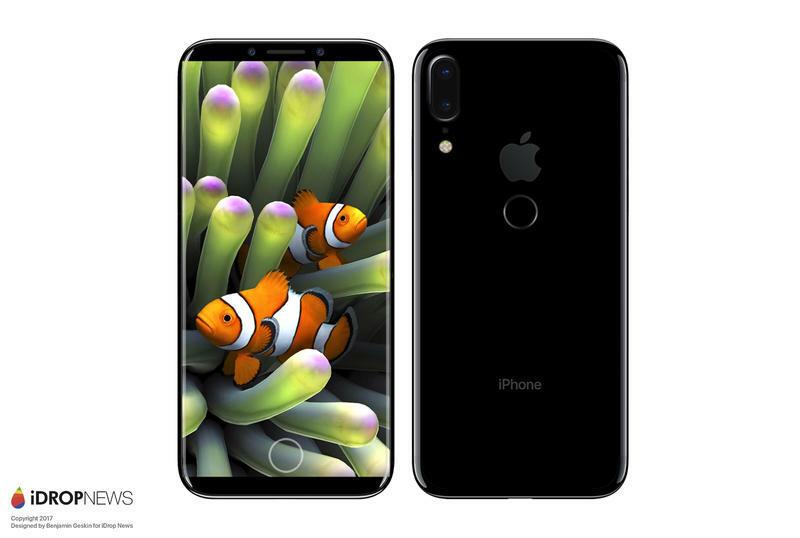 Based on the design of the phone, it looks like a realistic design. Most phones coming out now feature a similar nearly bezel-less front panel that maximizes space. The name of the phone is another issue. The name iPhone Edition isn’t out of the realm of possibility, it just sounds awkward in the mouth. The naming scheme of “edition” products has been seen before with the Apple Watch Edition, so we know Apple believes the “edition” naming scheme to be premium. There has been another rumor flying around that Apple will release three new iPhones this year: two that follow the same release cycle we’ve seen since the 6 and 6 Plus and third version that highlights the tenth anniversary of the iPhone. Apple naming this model the iPhone Edition would make a lot of sense. At this point, these is all just speculation. Take these rumors with a grain of salt. But these rumors make too much sense for Apple to pass up. I guess we’ll see come September.